Dating back to his days at Blaine (Minn.) High School, Brandon Bochenski has always put the puck in the net. Now in his second season with the Boston Bruins, Bochenski looks to establish himself as one of the league’s top snipers. Brandon scored 5 points (2 goals, 3 assists) with Team USA at the 2007 IIHF World Championship. 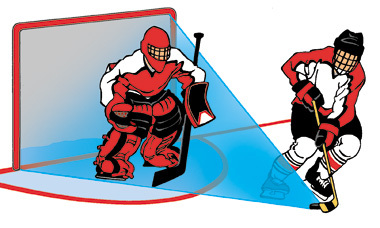 The snap shot is quicker than a wrist shot and more accurate than a slap shot. 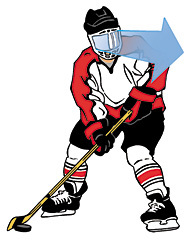 The most important attribute of a good snap shot is the speed with which you can release the puck. It’s probably the most widely used shot in hockey today. One of the most important things when you’re shooting is to look before you shoot the puck. A lot of times kids tend to bury their heads before they shoot and guess where they’re shooting. I like to take a look and see where the goaltender’s at and take aim at a general section of the net that I want to hit. It’s very important to lift your head up to where you want to shoot right before you let the puck go. Sometimes it’s not possible to get a good look at the net before you shoot. That’s why it’s important to always know where you are on the ice and where the net is. If you know the general vicinity when you’re not facing the net, it’s easier to get a shot off quickly and get it on net where good things can happen. It’s important to practice shooting in awkward positions. You’re not always going to be a perfect position when you find the puck on your stick. That’s why I practice shooting off of both feet. It’s good to switch it up. 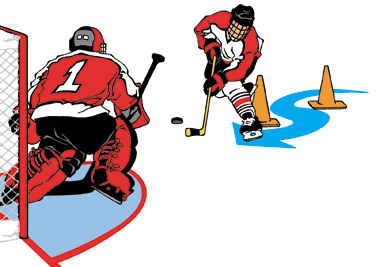 In drills, try skating around pylons and practice shooting from different angles. The snap shot is released from the middle to the tip of the blade. I like to pull the puck into a position that feels comfortable with the toe of my stick. Then I basically shoot the puck off the outer half of my blade. I don’t shoot a snap shot off the heel. That’s more of a wrist shot. Dryland training is very important. If you have a net at home and 10 pucks, you can fire away all day. That’s always good practice for when you do get on the ice.